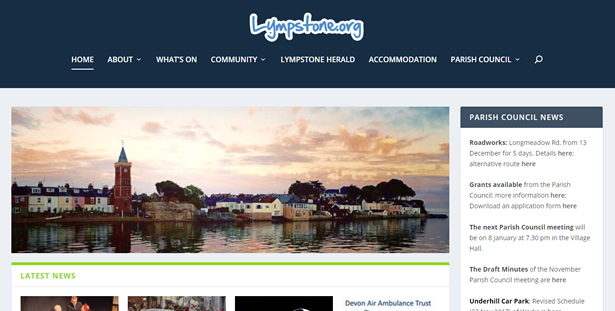 The Lympstone Village website was old, clunky and outdated. We chose a new modern WordPress theme and cleaned the site up so users could easily find information about this thriving little Devon village. The administrators update the website on a regular basis so using WordPress made sense as it’s intuitive to use which means they are happy to make updates to the website with it, reducing their costs for updates by external web developers.